It seems that everyone in my family has Sensory Processing Disorder to some degree or another. My mother can’t be around strong smells, my older daughter can’t handle crowds, my younger daughter either feels too much or too little, and I can’t deal with smells or too much noise all at once. All of those things are indicative of Sensory Integration Disorder, now called Sensory Processing Disorder. There are some toys and tools that can help your kids (and adults) develop the neural pathways that help the brain work to process sensory input. Here are a few that I recommend. 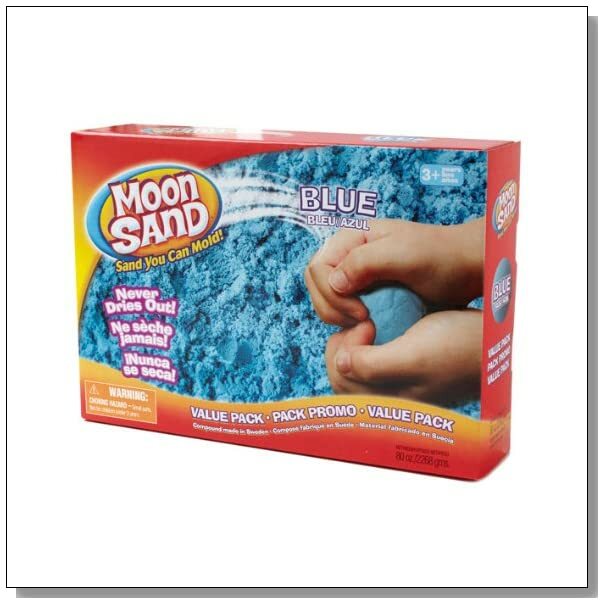 Moon sand is among the highest rated toys for kids with sensory integration disorder. Moon sand doesn’t dry out and is light to the touch. It can be used several times over and it’s safe to sanitize it if you need to. Moon sand also comes in several different colors including white, blue, purple, and pink. It’s great for kids who shy away from touching anything and ones who love to pick up everything in sight. For a toy that’s better for developing motor skills, check out a Koosh ball. 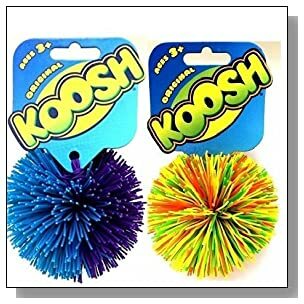 Koosh balls are squeezable and are also used as stress balls. They’re about three inches in diameter, so they’re great even for littler kids, but only recommended for those who are three or older. It contains natural latex rubber so it has a nice feel and smell to it. Koosh balls come in several different colors and designs so kids can have their pick of them. Another type of ball to look into is a Sensory ball. Sensory balls are similar to Koosh balls, but they’re not as soft. 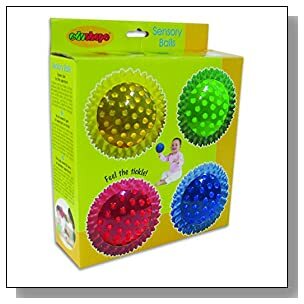 Sensory balls are more for bouncing and they’re bigger than something a toddler could squeeze. The unique texture that the balls have is perfect for kids of all ages and work well with games like monkey in the middle. They can also be used for juggling and playing a game of catch as well. They come in different colors and sizes. 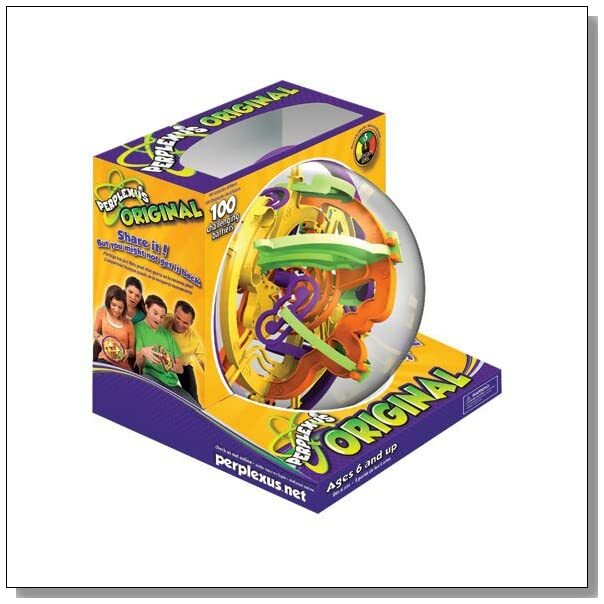 For those who don’t want to play with a ball, but need something for their hands, Perplexus is a toy to check out. It’s a puzzle inside of a sphere that you have to solve by turning and flipping the sphere. There are several different puzzles to purchase, including one called an Epic one that has been labeled as one of the most difficult ones to solve. 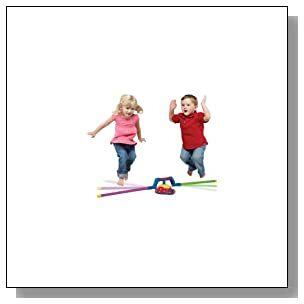 For younger kids with sensory integration disorder, there’s the Kidoozie Hop and Squeak pogo jumper. 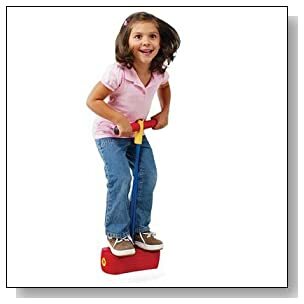 This pogo jumper comes with comfort grip handles and can be used both indoor and outdoor. Even though it’s in the children’s section, it can be used by teenagers also. The jumpers have wide bottoms so kids won’t have to fight to keep their balance when using them. The jumpers hold up to 250 pounds so any kid can enjoy a turn on it. It works great for high sensory seekers and kids who have low muscle tone. These are a few suggestions, but there are many ways to get sensory input that can help your child. It depends on if they need more sensory input or a calming sensory experience. Nutrition is Important for going Back to School	Is My Special Needs Child Old Enough to Stay Home Alone? Sorry to hear it’s been a mess! We can’t use playdough because of the smell. It gives my mom a headache. Moonsand, while fun, is one of the nastiest things to bring in your house. I know that it is fun to play with, but in our house it has been nothing but a mess…. I would rather let the kids play with Playdough. We’ve tried the moon sand before, it’s really great!